Thinking about going back to school, but not sure where to apply? Learn more about Texas’ best community colleges based on earning potential. 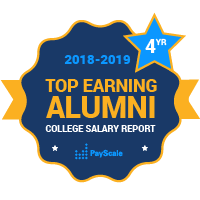 The best colleges in Texas for students looking for an associate degree are listed in PayScale’s College Salary Report; we have salary data for a number of two-year institutions in Texas. The list presents a mix of both public schools and private for-profit schools. The report aims to examine the best value for early and mid career salaries, as recorded by alumni. This should provide some direction for students who are sifting through the broad list of associate degree programs in Texas, and want to find a place that not only meets their academic needs, but their long-term financial goals as well. Keep in mind, our report also measures career satisfaction and other important metrics like school size, student to teach ratio, and more! Considering the best community colleges in Texas, those who look toward their long-term career earnings will find Alvin Community College near the top of their list.